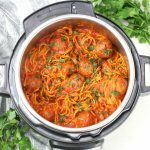 This Instant Pot Spaghetti and Turkey Meatballs only requires 3 minutes of pressure cooking and it’s “pot-to-table” in 30 minutes! An easy recipe and a delicious Italian feast your whole family will love! Hey friends, I’ve got a delicious semi-homemade classic Italian recipe for you today. And not only that – it’s a totally hands-free cooking experience. Yep, just add all the ingredients to your Instant Pot and pressure cook for 3 minutes. Then abracadabra… dinner on the table in no time flat! Yes, Instapot recipes are amazing! That is not a typo!! 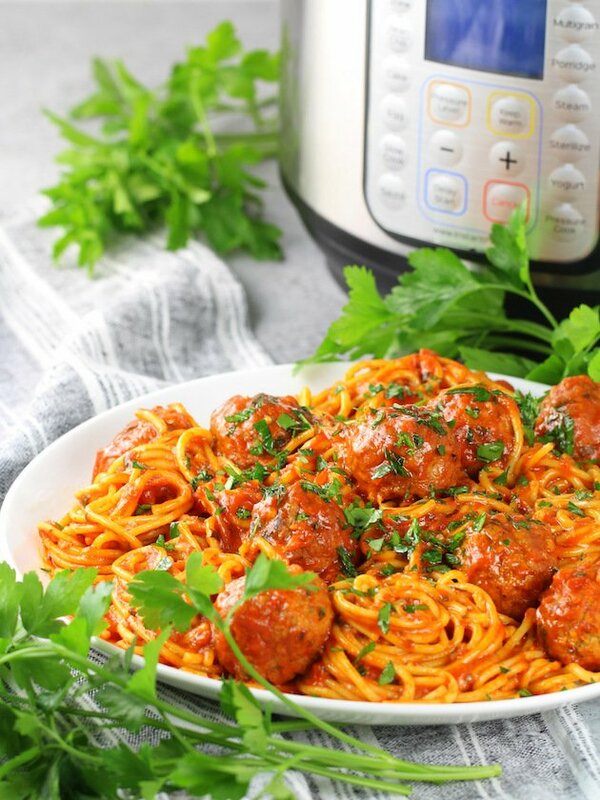 It only takes 3 minutes of high pressure to cook this tasty Instant Pot Spaghetti and Turkey Meatballs. From start to finish including pressure cooking and pressurizing, it’s a 30 minute meal. 3 minutes pressure cook + 22 minutes to come to pressure + 5 minutes manual release = a crazy delicious 30 minute meal and the pasta cooks perfectly! I know some of you are doing the happy dance right now – AmIRight?? 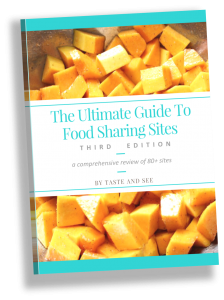 We all need some recipes in the rotation that are effortless and delicious. Unfortunately that doesn’t happen too often for me, because it’s hard for me to spend my daily caloric intake on ho-hum food. 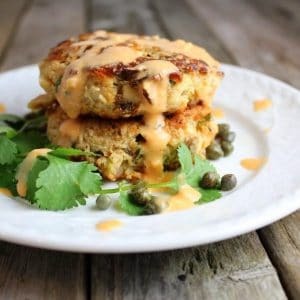 So, many times I end up taking more time and effort on my weeknight dinner recipes to ensure that they’re really tasty. Anything other than delicious is just not gonna cut it for me. 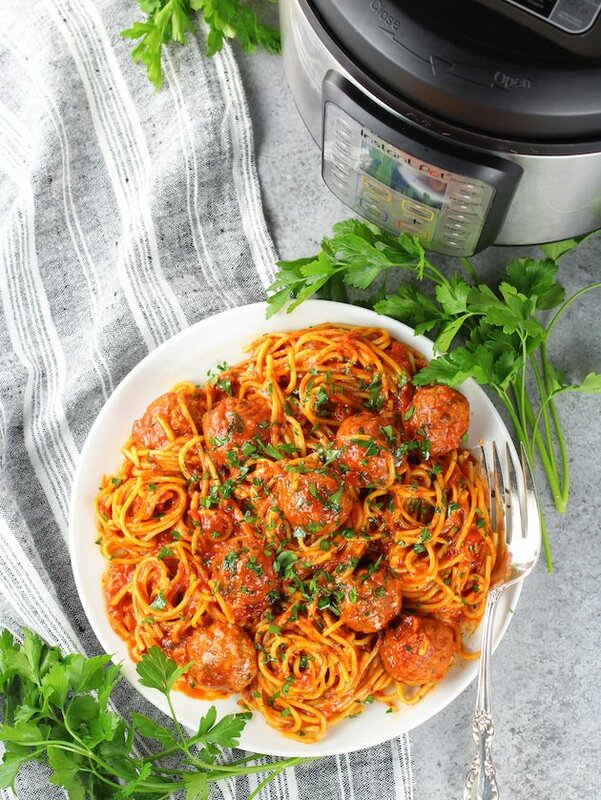 Well, I’m happy to report this Instant Pot Spaghetti recipe has it all!! 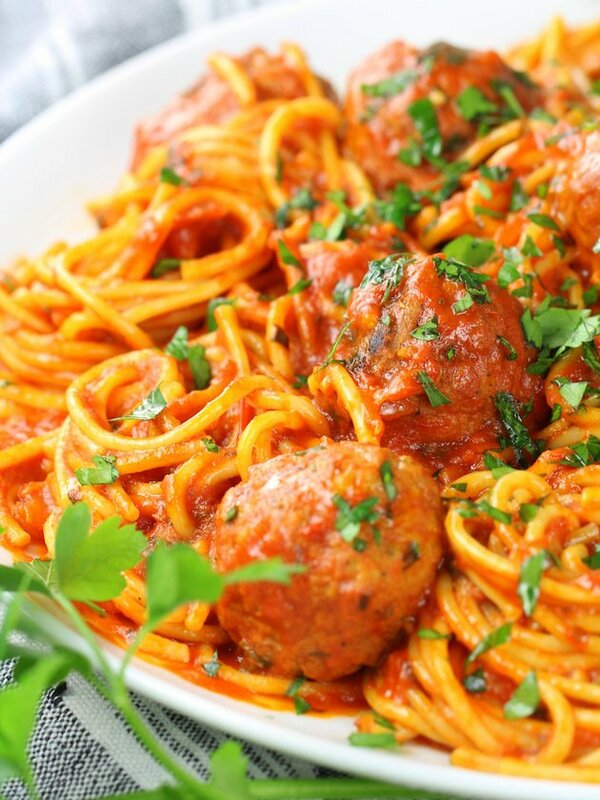 The sauce has such deep, rich flavor that hugs those noodles and meatballs like it’s its job. The noodles cook themselves in the Italian red sauce to a perfect al dente texture. And the frozen meatballs get all cooked and plump like yummy little meat bombs. It is pretty fantastic if I do say so myself. If you prefer homemade turkey meatballs – I’ve totally got you covered as well. Last week I posted my Baked Turkey Meatballs for Meal Prep. The recipe makes 45 meatballs so you can use 24 of them for this recipe and the others for another delicious easy dinner. That’s what I call all kinds of winning! 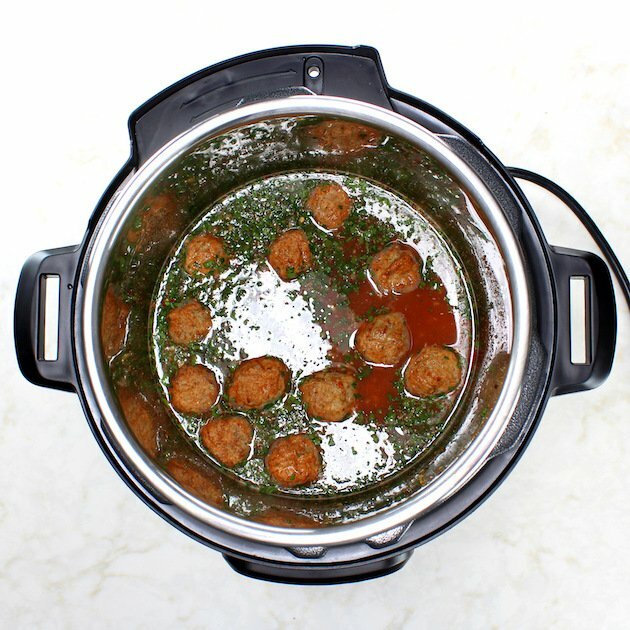 You can also use 24 uncooked 1-ounce meatballs for this recipe, but you will need to increase the cook time by 2 minutes and do a natural pressure release on your instapot. Be aware that you may need to choose a different kind of pasta noodle, so that it all cooks together to the perfect doneness. See my calculations for cooking pasta below in the About Spaghetti Noodles section. What can I say my friend… I’m trying to help a girl/guy out and keep your kitchen superhero status as strong as ever. I use traditional spaghetti noodles for this recipe, but you can switch it up if you’d prefer. Here’s how you figure out the pressure cook time: Find the lower time on the pasta package to cook al-dente, then divide that in half, then subtract 2. For example, Penne Pasta and Farfalle Pasta both would traditionally take 12 minutes for al dente noodles. So cut that in half (round up if needed), then subtract 2… and you get 4 minutes. 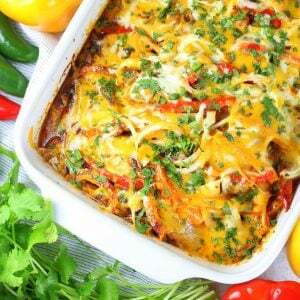 As you can see this recipe is not only quick and easy but so versatile as well. That’s what I can an IPWin! As I mentioned I add a few other ingredients to the recipe… those would be chicken stock, some tomato paste, fresh chopped parsley, fresh minced garlic, onion powder and just a pinch of red pepper flakes. … the marinara sauce and add water to rinse out the jar and add to the pot. Pressure cook, then stir in some fresh parsley, and top with Parmesan cheese – yummo! 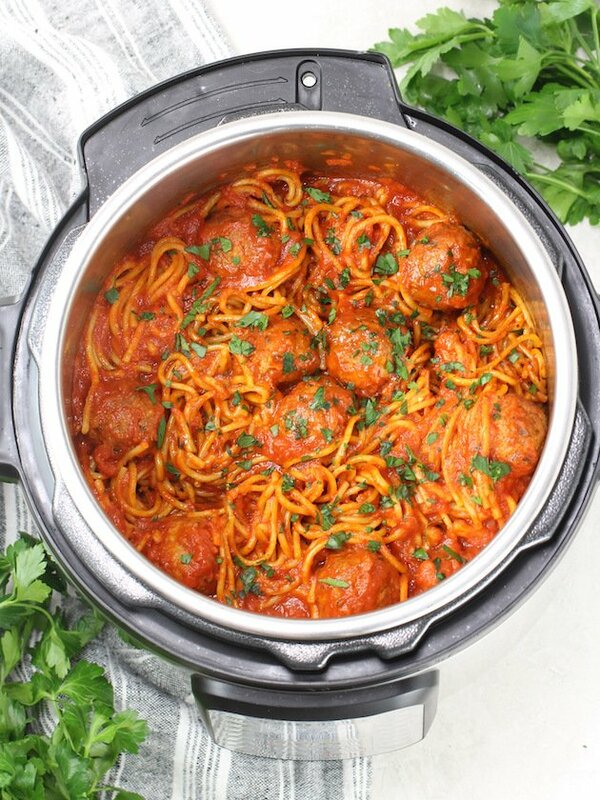 This Instant Pot Spaghetti and Turkey Meatballs is “pot-to-table” in 30 minutes. 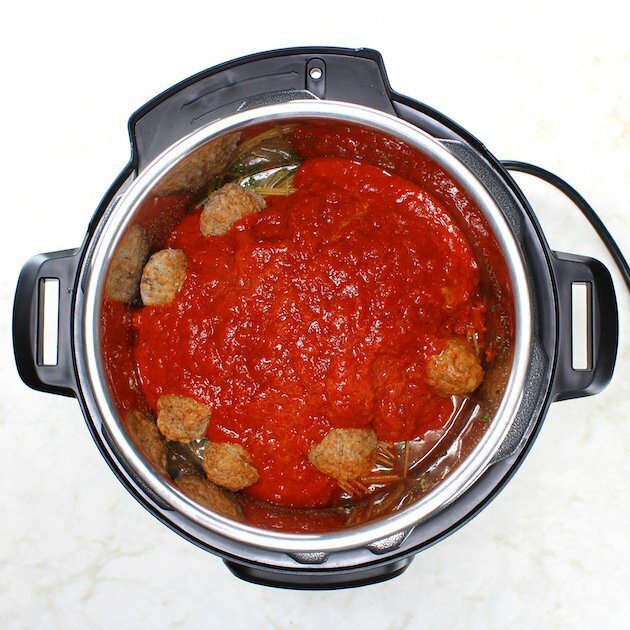 It’s an easy and delicious pressure cooker recipe your whole family will love! 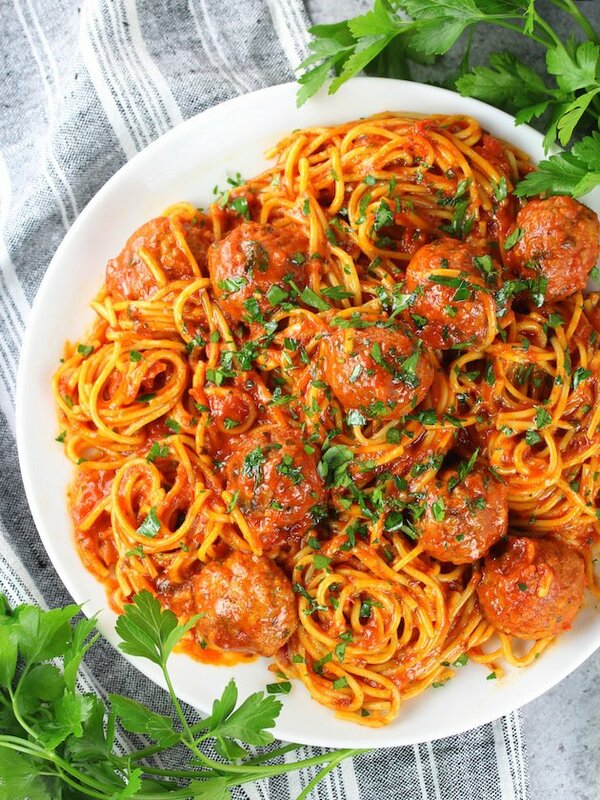 This IP Spaghetti and Turkey Meatballs is “pot-to-table” in 30 minutes. 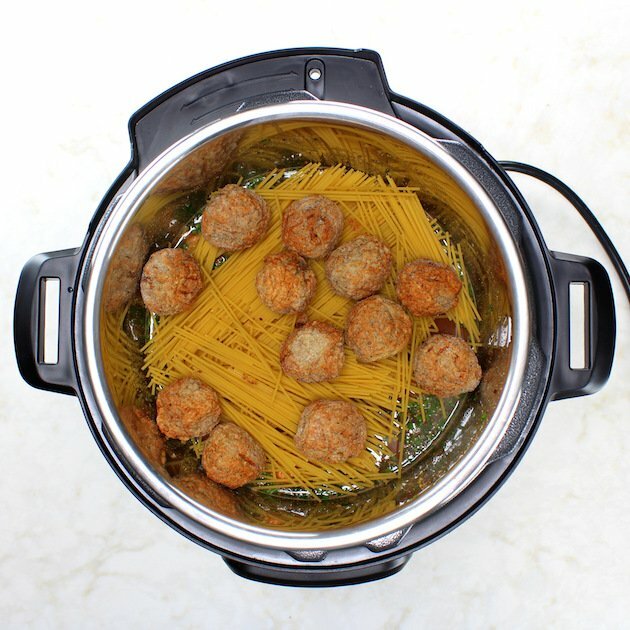 It’s an easy and delicious pressure cooker recipe your whole family will love! Grated parmesan for garnish if desired. Add chicken stock and tomato paste to a 6-quart Instant Pot, and whisk. Add 1/3 cup chopped parsley, oregano, onion powder, (optional) pepper flakes, minced garlic, and stir. Add half the meatballs to the liquid. 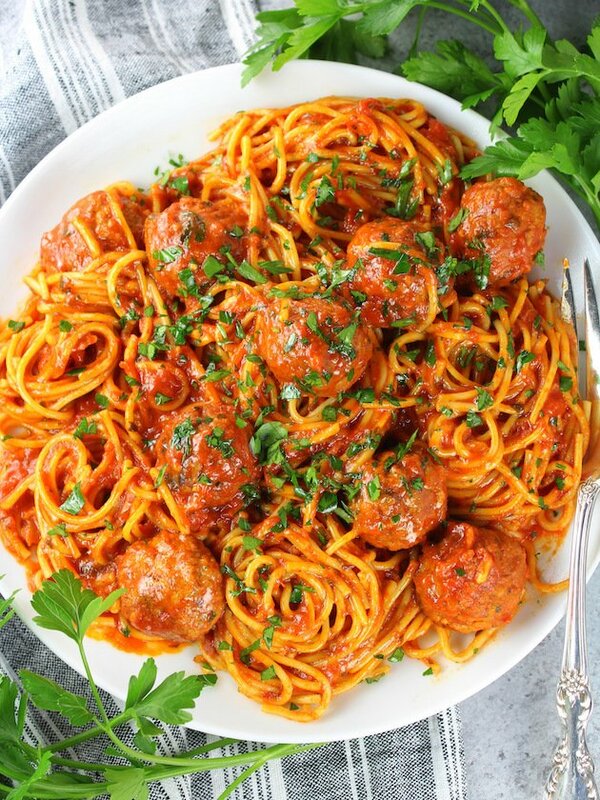 Break the pasta in half and add it on top of the meatballs. Now add the rest of the meatballs and pour the spaghetti sauce over top, covering all the pasta. Rinse out the marinara jar with ½ cup of water and carefully pour it into the pot around the sides, so it doesn’t wash the sauce off the noodles. Close the lid, seal, and pressure cook for 3 minutes (the IP normally takes 20-25 minutes (it took 23 minutes for mine) to come to pressure). Allow the pressure to naturally release for 5 minutes, then do a quick release. It will take around 2 more minutes to release pressure. 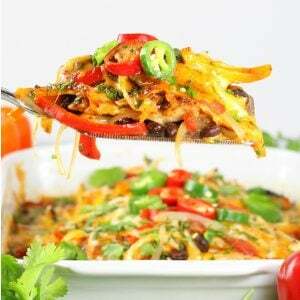 Remove lid and gently stir to make sure the sauce is evenly distributed. 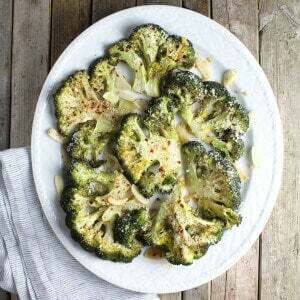 Serve with extra parsley and grated parmesan. For the meatballs, you can use frozen store-bought meatballs or make these homemade turkey meatballs ahead of time using ground turkey along with salt and pepper. 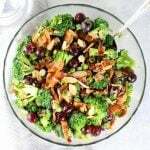 For this recipe I used the 6-quart Instant Pot Duo Plus. By now you know I’m a huge fan of the Instant Pot! Check out my latest Instant Pot Review here, or get your own Instant Pot on Amazon now if you haven’t joined the IP fun already! are the turkey meatballs defrosted? if not does the time change? 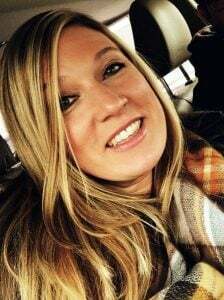 Hey Madelyn, the meatballs are frozen. You could try them defrosted as well – I’m sure they would be delicious! I am for sure doing a happy dance! 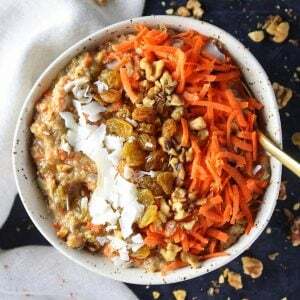 This looks so warm and cozy and delicious and I know my whole family will love it! Can’t wait to try with my new IP! It’s one of the easiest IP dinners I’ve made. I hope you enjoy it as much as we do, Kathryn! I’m making this now! Seems very easy to follow. My only deviation is that my broth comes in a 32oz carton and my marina in a 24 oz! It evens out to the right amount, lol! I hope. Also, I need to buy a pasta measure as the pasta comes as 16oz, so I guessed at 10 oz. on my second try I may see how much more liquid is needed to use the full 16oz package. Have you tried that? Would you want to guess? Fingers crossed on my liquids cheating! Thanks for a very tempting recipe. Hey Lauren, I hope this turns out delicious! I’m wondering if because you used 32 ounces of stock that the it was enough for the extra pasta. It may have been a little bit more of a runny sauce than a marinara. I’d love to hear how it went. 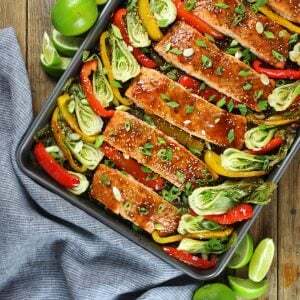 I’m loving this recipe! 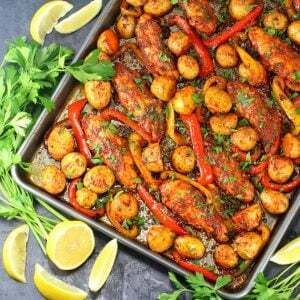 It’s so easy and so flavorful – what could be better! 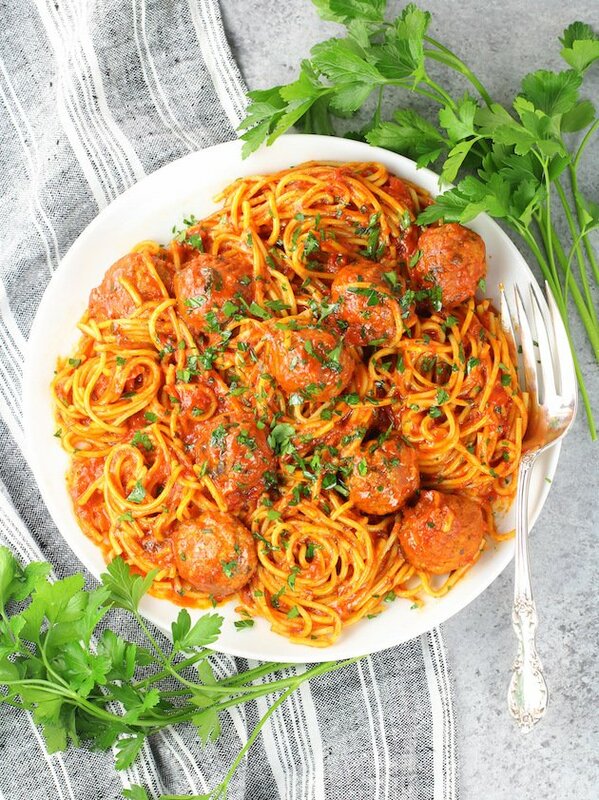 The kids can never get enough pasta especially when there’s meatball involved!